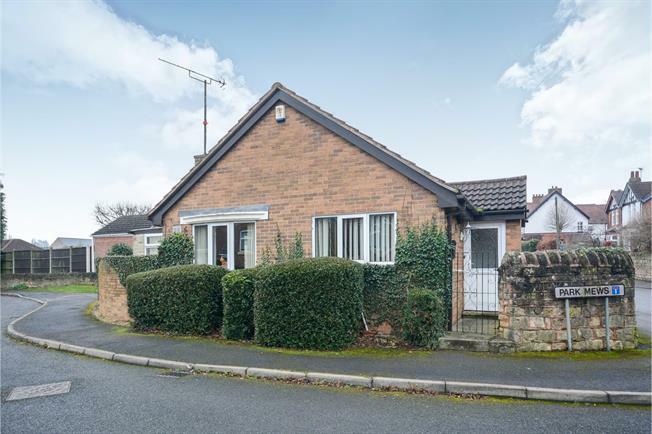 2 Bedroom Detached Bungalow For Sale in Mansfield for Offers in the region of £130,000. This property's price has dropped from £140,000 to Offers in the region of £130,000. OPEN HOUSE WEEKEND SATURDAY 27TH AND SUNDAY 28TH APRIL - CALL TO ARRANGE A VIEWING ON 01623 652218 PERFECT BUNGALOW! Bairstow Eves are delighted to welcome to the market this stunning two bedroom detached bungalow which is a must view to appreciate what is on offer. The bungalow comprises and entrance hall that gives access to a fitted kitchen as well as the spacious and homely living room with access to a conservatory looking out onto the rear garden. The hall also gives access to two great sized bedrooms and the shower room. Additionally the property has double glazed windows, gas central heating, off road parking and a single detached garage, low maintenance and private rear garden with a conservatory. The bungalow is situated within close proximity to the local village high street with local amenities such as shops, eateries and local pubs. Viewings are strongly recommended to avoid disappointment, so please call the office for viewing arrangements. Double glazed uPVC window facing the side. Radiator, tiled flooring, ceiling light. Roll top work surface, fitted, wall and base and drawer units, stainless steel sink, integrated, electric oven, integrated, gas hob, over hob extractor, integrated space for washing machine, fridge/freezer. Double glazed uPVC window facing the side. Radiator and gas fire, carpeted flooring, ceiling light. Double glazed uPVC window with frosted glass facing the front. Radiator, tiled flooring, ceiling light. High level flush WC, walk-in shower, pedestal sink, extractor fan. UPVC double glazed door, opening onto the garden. Double glazed uPVC window facing the rear overlooking the garden. Radiator, tiled flooring, ceiling light.